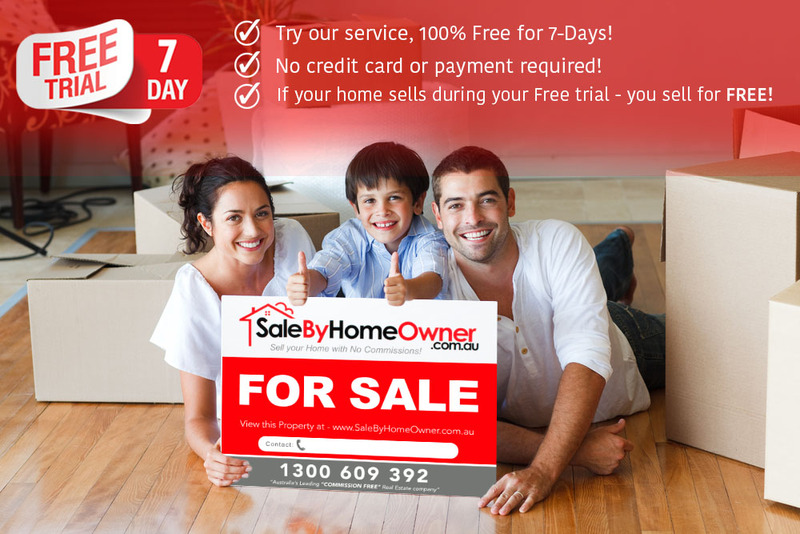 We’re now offering Home owners a Free 7 Day trial of our services! No worries! Listing your home is easy & only takes 10 minutes. Click the ‘START FREE TRIAL‘ link below, our Team will email you a link that you can click on to Create your property listing. For Free 7-Day Trial customers, after you’ve written your property description & uploaded your photos, simply skip the ‘payment’ section. After your Property & Ownership documents have been uploaded, our Team will confirm your listing & your property will be Online & ready to receive enquiries within 1 to 3 hours! We do get a lot of Homes that sell during the Free 7 Day Trial period, so as an added bonus, if your Property sells during your Free 7-Day trial, then our services are 100% Free! At the end of your Free 7 Day Trial, you’ll receive an E-mail from our Customer Service Team to see if you’d like to continue your selling services with us!